Impression Obsession Cling Stamp CHICKEN WIRE CC155 at Simon Says STAMP! CC155 / 3.5 This item is on reserve until If you would like to reserve this item now, you may purchase it now with the rest of your order. We will hold your order now and ship your entire order as soon as this item is back into stock. If you would like your order to ship now, please place this item on a separate order. 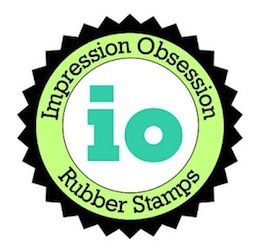 Success, Impression Obsession Cling Stamp CHICKEN WIRE CC155 has been shared! This cling stamp is from the Cover-A-Card line by Impression Obsession! The cling Cover-A-Cards are meant to do just that- cover your card's background! The intricate details and designs will make your cards look like you took hours.. but it only takes 1 simple step of stamping!